Here are the top 5 travel tips for 2017. Those who are planning vacations in 2017 can enjoy taking trips to new destinations where memories will be created. There is plenty of preparation involved with traveling to ensure that the trip goes as planned. 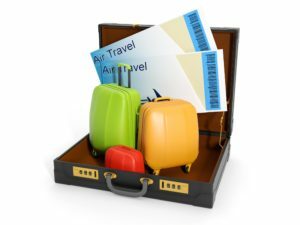 If you’re planning on traveling in the new year, there are a few important vacation tips to follow when you need travel help. You can hire a travel agency like Colorado Highlife Tours and Travel or go it on your own. Many people can lose their driver’s license or identification while traveling, which can make it difficult to operate a vehicle or obtain a room that you’ve booked at a hotel. Scan your documents and itinerary onto your computer and send it to your email address to ensure that you have access to the information and can prove who you are during the trip. This can be a life saver sometimes. One of the most important vacation tips to follow is to bring extra cash along for your trip. It can be easy to become a victim of theft in a new city where pick pocketing is common, which can leave you stranded in an unfamiliar location. Bring extra cash along, which can be stored in your sock or in a sunglasses case to have emergency money that may be needed. This will also allow you to have money if your bank freezes your debit or credit card after detecting charges in another city or state. Cashiers checks are also a great option too. It can be easy to stick to popular tourist destinations when you’re traveling, but it’s important to explore the outskirts of the location to learn more about the local area. You’ll find authentic cuisine and even meet locals who will give you insight on the best places to visit. Don’t be afraid to get lost on purpose for an adventure that will allow you to take home a few stories. The best things are not on the normal roads so go explore! One of the top 5 travel tips for 2017 is to avoid planning too much during your trip. It can be easy to cram your itinerary with visits to multiple museums or stops at famous restaurants, but planning too many activities can leave you stressed instead of taking in the sites. You can get more out of your trip by pacing yourself and enjoying downtime that includes reading a book at a local coffee shop or spending some time at the beach. You can always return for another visit in the future to stop by the places that you missed. Vacation rentals are a good buy for large groups from 6 to14 and can be found on many sites. Those who are looking for travel help can benefit by trying new adventures and getting out of your comfort zone while traveling. One of the top 5 travel tips for 2017 is to participate in an activity or event that may scare you as you explore a new location. Consider skydiving, trying a new food, or going surfing for the first time to enjoy thrills that will enhance the quality of the trip. Take photos and laugh about the experience for an activity that you’ll remember for a lifetime. How about some extreme vacations. Note to add… Be sure to find a portable vaporizer for weed while your there so you can enjoy your cannabis in the rooms. Any tips on camp grounds near the 420 festivities?